At the Heart of America’s most iconic highway sits a small city, its main street cutting through a downtown drenched in an eclectic mix of historic preservation and modern influence. Visitors are welcomed by a newly erected 25 foot tall arch, with 61 feet of outstretched arms spanning Beale Street and anchored to the park where a 90 year old steam locomotive prominently rests. 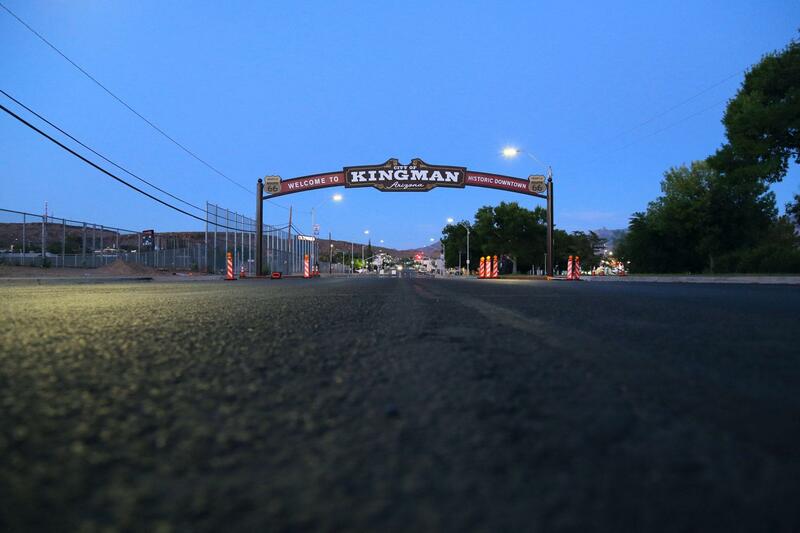 On July 6th, during the Historic Downtown Kingman First Friday event, the night sky will be aglow with the first lighting of the long anticipated landmark. All are invited! First proposed in a Kingman wayfinding plan 15 years ago, the sign was envisioned as “the most important gateway into the historic downtown area.”a Most of the signs recommended in the plan have been long since completed; you’ll recognize them as the oversized pink Route 66 shields along the roadside with information about what’s ahead. The arch, however, would be a bold undertaking, a statement of community pride. 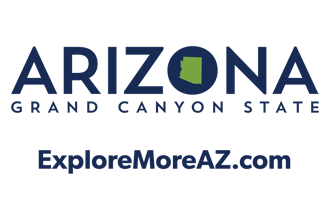 That effort began in 2015 when the Kingman Chamber of Commerce was selected as one of the top 50 finalists in the nationwide America’s Best Communities Competition sponsored by Frontier Communications, DISH Network, CoBank, and The Weather Channel. 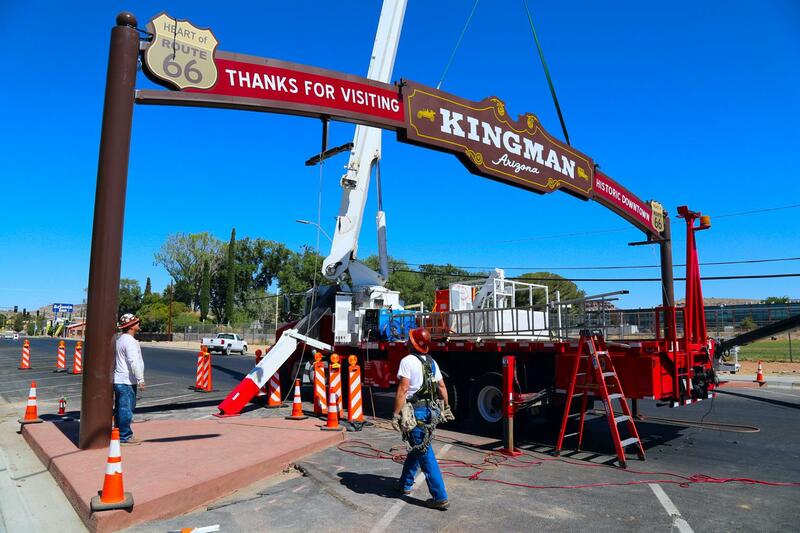 Kingman was awarded $50,000 to construct a Community Revitalization Plan, of which the Arch became the cornerstone project. The Chamber handed the project over to City engineers the next year and after much discussion over the placement and design, it has finally been erected. As an interesting side note, in a Kingman Trivial Pursuit board game sponsored in 1980’s by the Kingman Lions Club, a game card lays the claim that Kingman was the first city in Mohave County to be incorporated, and yet the last county seat in the United States to be incorporated. Interesting as it is, we’ll leave that for our readers to verify. 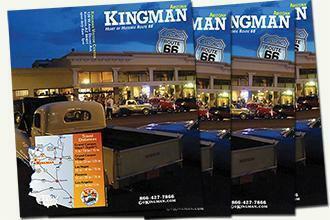 So why wouldn’t Kingman, the Heart of Historic Route 66, celebrate our 66th Anniversary? As part of the celebration there will be free cupcakes, food vendors, music, water slides, a slip-and-slide, a pop up park, and water games hosted by the Fire Department. 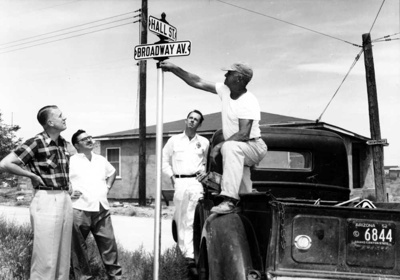 In celebration of the City’s very first project, the installation of another sign – the street sign at the corner of Hall Street and Broadway in August of 1952 – the Public Works Department will host several stations to share with the community everything that they do to keep the City going. This will include demonstrations such as fleet and street maintenance, recycling separation, and water delivery. The event kicks off at 4pm on July 6th and ends at 9pm. The dedication ceremony will begin at 7:45pm with the first lighting of the sign following shortly at dusk. Parents and participants can sign a liability waiver for free wristbands to participate and cool off in the water activities. Kingman Main Street will have a table at the event where they will be selling raffle tickets for $10 for a chance to win a fantastic gift basket filled with a collection of items from downtown businesses. The drawing will be held at the end of the night (need not be present to win). 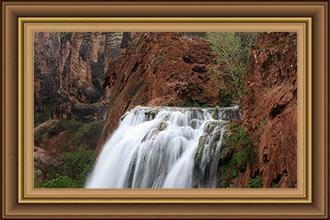 For more information, contact the City of Kingman Visitor Center at 928-753-6016 or [email protected]. Thank you for visiting http://www.gokingman.com/blog-kingman-arch-dedicaiton! Be sure and revisit gokingman.com frequently for content updates and more.